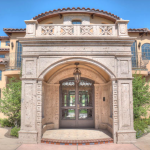 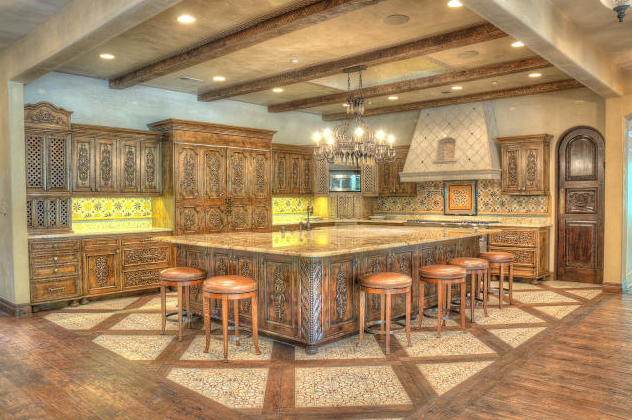 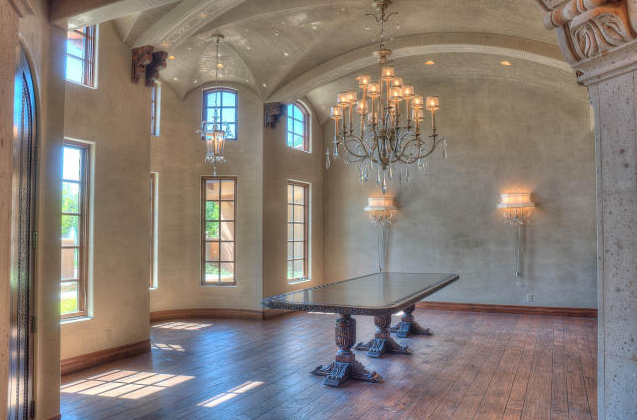 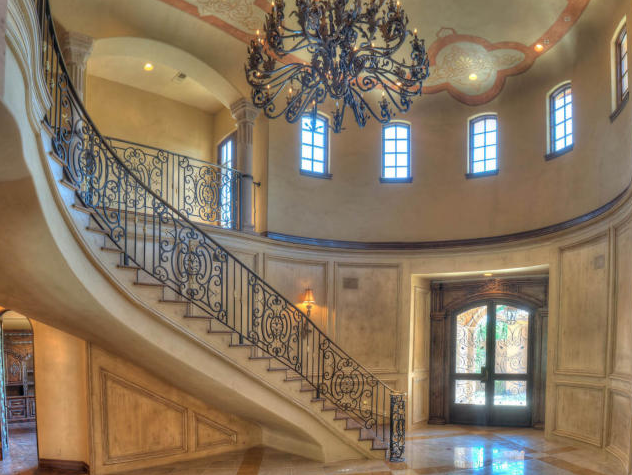 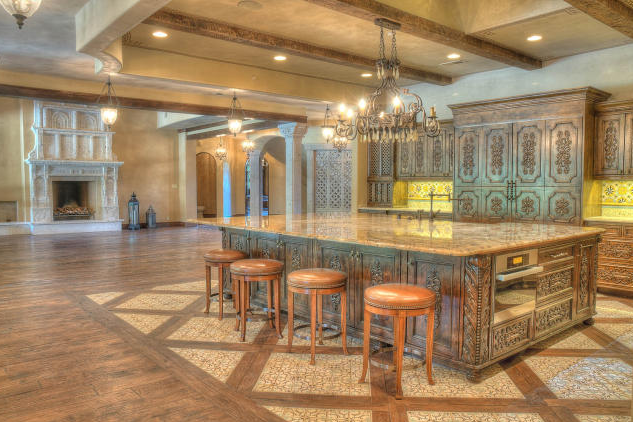 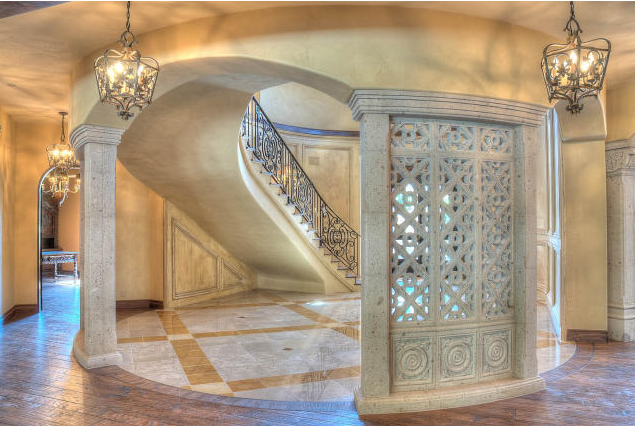 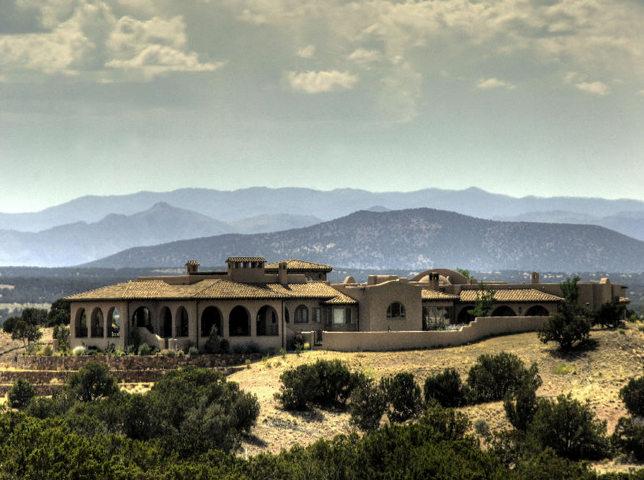 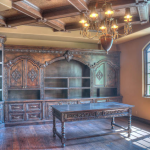 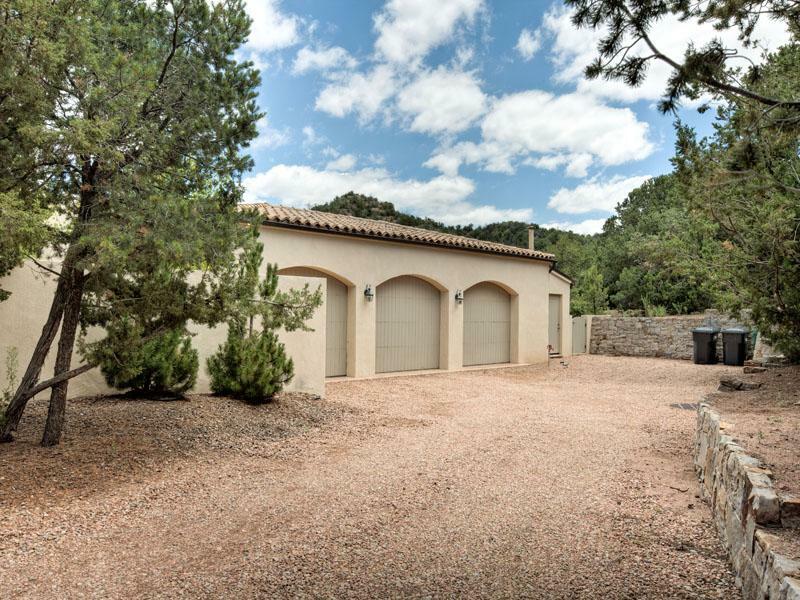 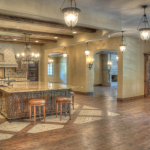 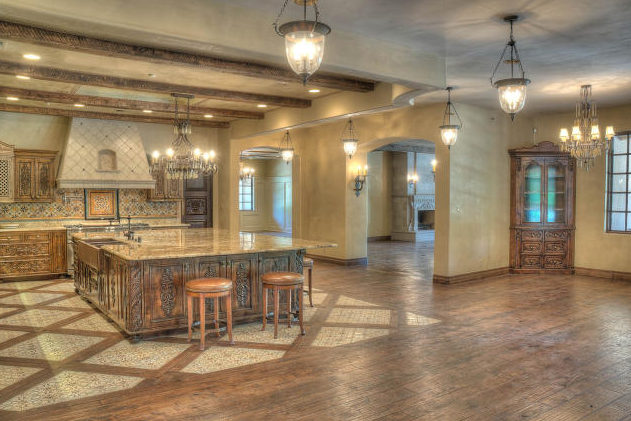 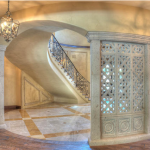 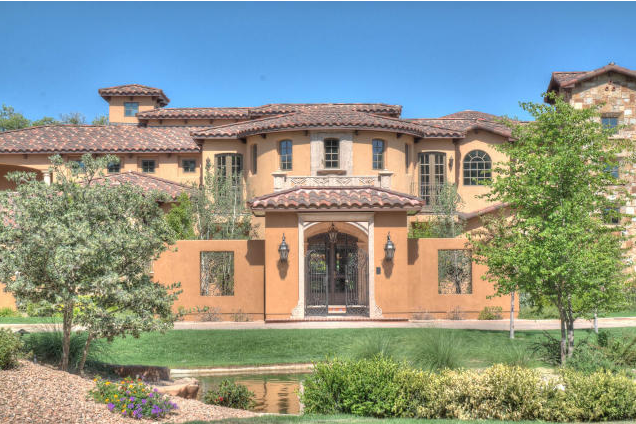 This newly built Tuscan inspired mansion is located in Los Ranchos de Albuquerque, NM and is situated on 3 acres. 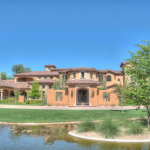 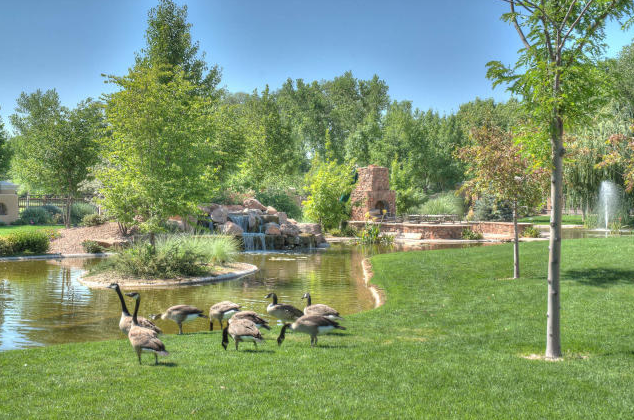 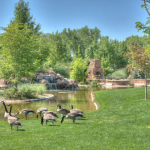 It is completely gated and features a cobblestone driveway, pond with waterfall, courtyard with patio, lush landscaping, a vineyard and fruit trees. 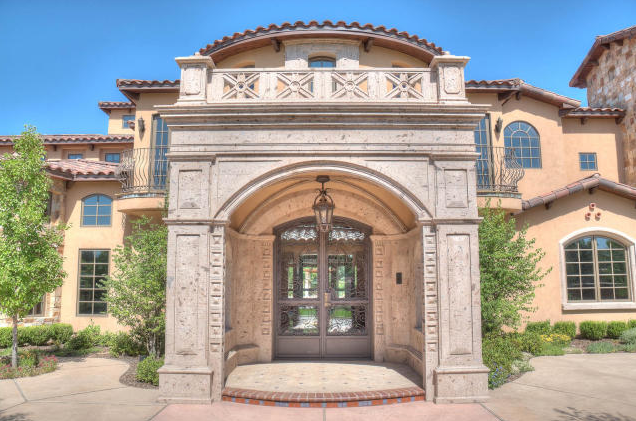 Past the glass and iron front doors, you are greeted by a 2-story foyer with imported iron and hickory wood grand staircase. 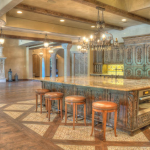 There is approximately 12,000 square feet of living space with 6 bedrooms, 8 bathrooms, formal living room with cantera stone fireplace, formal dining room with temperature-controlled wine cellar, gourmet kitchen with breakfast nook, home office, library, game room with hand carved bar with access to rear verandah, elevator, gym, home theater, craft room, two 3-car garages and more. 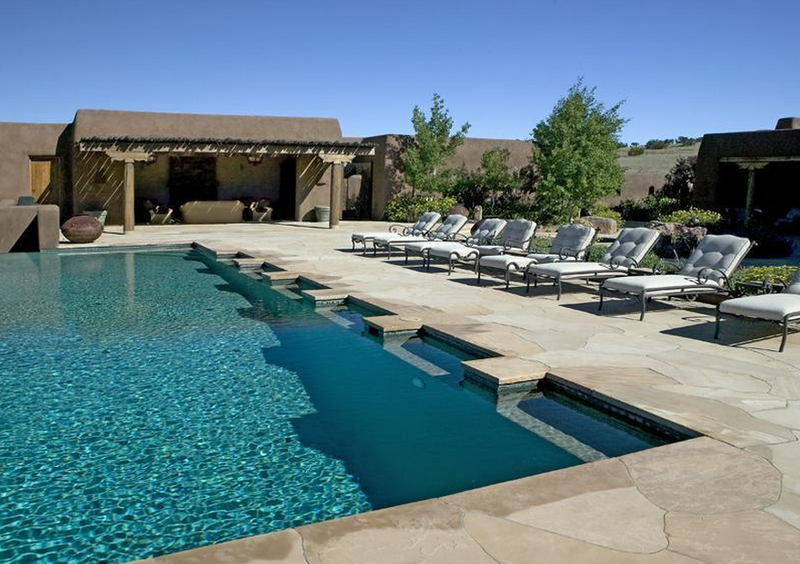 The backyard features a saltwater swimming pool, pool pavilion, outdoor kitchen and dining area, 1200 square foot guest house with 2 bedrooms and a 2-car garage and a 2500 square foot workshop/garage. 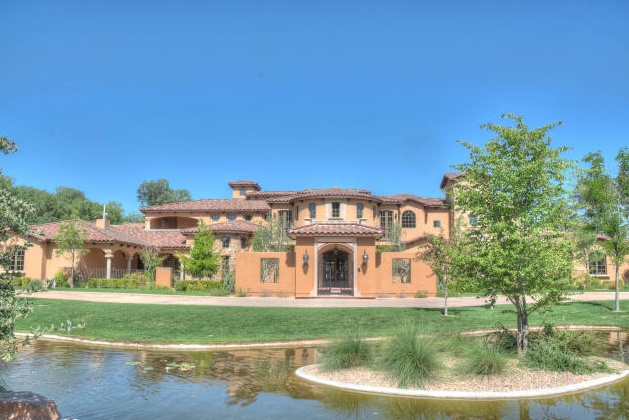 It is listed at $7,000,000. 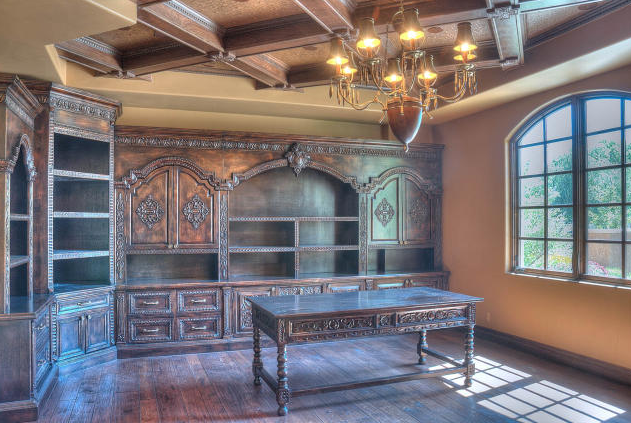 I LOVE the old world feeling the interior gives off and the finishings/details are quite beautiful. 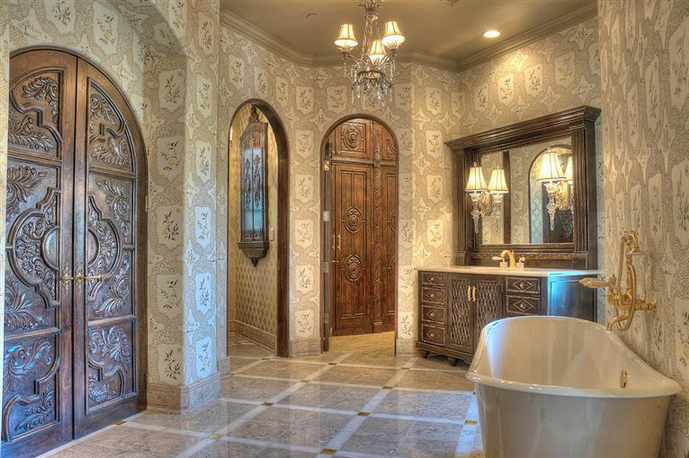 I really like the groin ceilings, intricate woodwork, imported tile and hand-carved cabinetry. 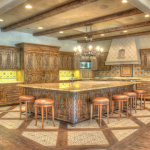 The craftsmanship is impeccable!